Looking for expert carpet cleaning services in Hornsey N8, Haringey, North London? Call Magic on 0208 861 0979 for free carpet cleaning advice, free no obligation quote or to book one of our special Hornsey N8, Haringey carpet cleaning services! Hornsey N8, Haringey carpet cleaning services: We cover it. We confirm that our carpet cleaners cover the entire area of Hornsey, N8 postcodes in Haringey North London, delivering expert carpet cleaning services at really affordable prices. Carpet cleaning is highly popular in Hornsey N8, Haringey and we’ve providing this service on a regular basis to all our customers. We have fully qualified, fully insured carpet cleaners in Hornsey N8 who are available on short notice. They are also fully trained to our industry’s standards and are available on short notice to meet your needs. We use the best equipment available on the market today and we use dry carpet cleaning and the steam carpet cleaning to come up with the best results for your carpets. We also provide upholstery cleaning services in Hornsey N8, Haringey, which is another popular service from Magic Carpet Cleaning. We have fully qualified staff available on short notice to deliver the best upholstery cleaning services out there. We also guarantee your satisfaction with our service, meaning that if you are not happy with the results, we will re-clean, for free. Our customers in Hornnsey N8, Haringey enjoy our stains removal services because of the great results our technicians come up with. Our staff carries around 15 different types of chemicals to tackle any type of stain left on any type of material or fabric. With well over seven years serving the Hornsey N8, Haringey area with stains removal services, we are there to help you have the stains removed fast and in a professional manner. Do please keep in mind that depending on the type of stain and on the fabric or material that it has been left on, not all stains can be removed, so please call us on 0208 861 0979 for free carpet cleaning and stains removal advice, and to discuss about and assess the type of stains that need to be removed. With well over seven years of experience in carpet cleaning services in Hornsey N8, Haringey, we deliver expert services to many, many businesses and individuals in this North London area. as well as many other places and properties in Hornsey N8, Haringey. We provide a “satisfaction guaranteed or we re-clean for free” offer available to all Hornsey N8 customers in Haringey, North London. Call us on 0208 861 0979 for a free no obligation quote, for free carpet cleaning advice or to book one or more Magic Carpet Cleaning service! 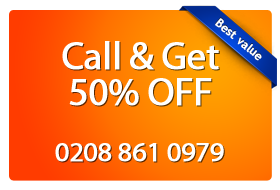 Magic provides expert carpet cleaning services to Hornsey N8, Haringey in North London.